Precision Metal Fabrication – Laser Cutting, Punching, Welding, Machining, and More from ELO Engineering, Inc.
At ELO Engineering, Inc. our mission is to provide high quality precision metal fabrication while limiting process variation and delivering our customers’ components on time. We have done this successfully since 1972, by investing in both our employees and our plant. Our State-of-the-Art Facility in Fridley, Minnesota is equipped to provide our customers with precision metal laser cutting, machining, welding, powder coating, assembly, kitting, prototyping and everything in between. Additionally, as an affiliate of Demmer Corporation – a world-class, vertically integrated manufacturer that provides a wide range of services to companies in the aerospace, defense, commercial, energy, and transportation industries – ELO has access to a wide range of the industry’s best experts and machinery. 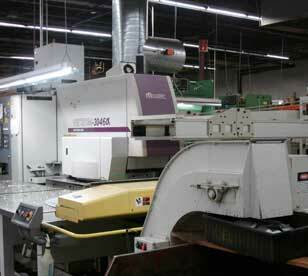 All told, we can provide our customers with a turnkey solution to meet their custom sheet metal fabrication needs. However, we know that comprehensive services mean nothing if the resulting products aren’t durable, built to print, and delivered on time. That’s why we’ve achieved compliance with ISO 9001:2000 and AS 9102 – so you can trust our commitment to delivering quality components. In addition to expert fabrication and other related services, ELO also provides its customers with engineering support to help them design custom parts, or improve their existing components. Our expert engineers have worked on countless sheet metal forming projects for a range of industries including medical, transportation, defense, and more, and they can use this wide experience to find an effective solution for your unique metal fabrication needs. What’s more, our engineers can often drive out cost by offering you ideas for streamlining your design and simplifying fabrication. Plus, because we have more than 100 years of combined engineering experience, you can be sure we are providing you with expert advice you can trust. If you’d like to learn more about our engineering support, metal fabrication services, or our industry best practices such as kanban, JIT, and more,contact ELO Engineering, Inc. today. 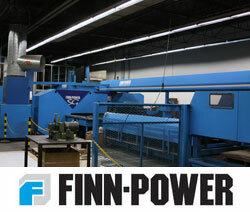 We’re a family-operated sheet metal fabricator providing first-rate products and exceptional service nationwide.